I had a common tenet reinforced last evening. I have always believed that two reasonable, non-confrontational people can sit and discuss anything as long as two factors remain at work… Number one, both parties are respectful of the other… Number two, both parties think about what they are hearing as diligently as they think about what they are saying! distaff side, invited to speak at the conference I hosted in March of 2016 where they rocked the house with their stories of contacts with the sasquatch people. Shaun is a computer engineer for an international company and has been working near me for the past few weeks. He has had to journey from his Eugene, OR area home some five to six hours to stay for a few days to work on a project nearby. We have taken advantage of this situation to get together for dinner regularly. It started out just he and I… then a mutual friend here joined in and finally, this week, a second friend joined us… if this trend continues, we will have to find larger quarters! I correctly (I hope!) assumed he meant because I tend to heed statements regarding observations that are not strictly part of the current scientific curriculum. (acually, there are those who have labeled me as “The Pope of Woo”) I find it amusing that people spend so much time worrying about such trivialities. Who cares what others think? Actually, even more to the point, what makes you think they do? It happens so seldom as to be considered a rare phenomenon and I largely ignore it. In essence, I simply report what I observe. I have no desire, need or requirement to prove that these beings exist. Actually, when one understands it all, I cannot prove anything to anyone… I can merely offer evidence. Each person must make their own determination how much evidence is required to constitute proof! One thing to be remembered here is the QUALITY of evidence presented. Evidence comes in various forms. At the top of the page is empirical evidence… evidence that can be measured, weighed, quantified in one form or another. It is evidence that can be tested and replicated. From there, evidence decreases in desirability as that ability to reproduce it and then to even measure it decrease. Anecdotes and eye-witness testimony fall into this category. I am often confronted with the argument, “My eyewitness testimony is acceptable in a court of law, why is it not acceptable to you?” …The answer to this is simple… in a court of law my testimony would be subject to cross examination! As evidence in our endeavor, it is not. In that court of law, eyewitness testimony that is NOT cross examined is likely to be cast out with the judge instructing the jury to disregard it! Even as controversial as this form of evidence can be, there is one form that is totally useless to us and that is Hearsay Evidence… “My buddy said…” is not useable evidence in any case at any time. Unfortunately, this is the most prevalent form presented in our dealings within this field. Someone picks up a buzzword from someone else and runs with it. He has no idea what he’s spouting, he’s just using a word that he’s heard others use that sounds powerful. As we descend the chart for the order of evidence, another aspect comes into view and increases in importance. That aspect is witness credibility. At the upper end of the scale, we need to know if the person making the measurements is, in fact, qualified to do so. His personal reputation being less important beyond that simple ability for empirical evidence but becoming ever more important as we move down the scale! When the evidence moves into the range of the anecdotal, the WHO of the reporter becomes extremely important. What qualifies this individual to make this report? To have Jimmy Chilcutt, professional forensic fingerprint analyst, reporting on fingerprint evidence is far more effective and believable than someone like me who only understands that we have them and not a bit about what they mean! Quality of character becomes more important as we descend into the anecdotal phases. I would not imagine the fellow arrested with the defendant in the drug raid would be considered too credible or objective as a witness on his character! There are two examples of this that come immediately to mind. A few years ago someone concluded, from some mental exercise or another, that the sasquatch people use “infrasound” in one form or another as a defense mechanism or to “zap” us or whatever they wanted to do. This was such a beautiful catchword! Within days, the entire sasquatch investigation world was in line with it, not understanding that infrasound is a “Class One” form of evidence. All recorded evidence has merit as it fits the criteria of being measurable and repeatable. There are a number of very highly qualified audio experts who can take an audio file and tell you exactly what is making the sounds on that file. Further, each of us has a “voiceprint” as common to us and as unique as our fingerprints. When this trend in infrasound began, I started asking people how they knew it was infrasound causing these anomalies they were reporting. As can be expected, the initial response was to attack me. I had pierced their fatted calf and I had to be a terrible person for this to happen! I had one fellow tell me, when I asked if he even knew was infrasound actually was, “Of course I do, I can hear it quite clearly!” Excuse me, but if you can HEAR it, by definition it is NOT infrasound since infrasound is DEFINED as that level of sound BELOW our human ability to hear it! It is, in fact, sound levels below the eighteen hertz that humans can hear. We know that some animal can hear and use it… Elephants appear to use it in communicating over long distances… alligators and crocodiles use it as do other species… and sasquatch MAY use it. But, again, it is an empirically testable piece of evidence. All that needs be done is to record it and do a sound analysis on it. To my knowledge, this has never been done. One prime example of negative attitudes concerning this subject occurred when Mike Paterson (Sasquatch Ontario) submitted some audio to R. Scott Nelson, noted cryptolinguist with twenty years Navy experience in that field. When the audio was subjected to forensic investigation and frequency analysis was performed on it, it was determined that the voice print matched that of the landowner exactly. All I ever reported was that this recording had anomalies in it… nothing more… and again the attack was merciless… I was a liar and he could prove it… excuse me, but I was a liar about what? I had made no accusations against anyone… and still do not… All I have ever said, even to this day, is that there are anomalies in the audio! And that was demonstrated, not by me, who am not a sound analyst, but by a qualified audio analyst… three of them in different areas of the country all making the same statements, but not by me. I answered a series of questions asked by a participant in that group. It was no great thing, but I answered with the certainty of fifty-nine years of research and observations of these beings. The questions were simple and straightforward and the answers lightly done. I was not intending to produce a peer reviewed article in three paragraphs or less, but I stepped on this fellow’s toes somehow. He responded with such vitriol you would think I had called his mother a Democrat or something! He traced my genealogy back to Rin Tin Tin and accused me of sleeping with Miley Cyrus! (Figuratively, if not literally) I was a bit taken aback by this when his diatribe continued… I mean I was talking about such deep things as the fact that they feed on the seacoast in winter and on the rivers in the fall in our areas… certainly nothing over which to draw and quarter a person… where it was purely my opinion, I stated it was my opinion… and let it be… At last the owner of this group removed this fellow and, in a private message told me that he had been questioned by this fellow for a rather slanted view on these beings. It seems he had a position that they were evil demons and regularly stole children and ate them! It seems my casual remarks about what I have seen of their everyday life threatened that view of them, so I had to be attacked and destroyed… Well, as in most such cases, the only thing destroyed was his credibility. But, why are people this way? What is so important to them that the existence of this being, or non-existence with some, would make such a world shaking difference? For, it really does to some people. One only has to look at the Sasquatch Genome Project conducted by Dr. Melba Ketchum a couple of years back! As it got closer and closer to release, the extreme skeptics were coming out of the woodwork to attack her personally… the only negative they ever made stick that I ever saw was a low rating from the Better Business Bureau… something that can be the result of ONE dissatisfied customer in her veterinary clinic! Remember, please, although you would have believed from listening to these instant experts… I mean people who, two weeks before, could not SPELL DNA were now total experts on genes splicing, and all facets of dna research… that she did this testing in her basement wash sink, the testing was DONE by major universities… University of Southern California, Texas A&M University, and University of Texas at Arlington being among them… and there was one more that slips my memory at this moment. These are prestigious schools with major league reputations at stake; would we not think that if she had MISREPORTED their findings, they would not have mentioned it somewhere along the line? Probably in the form of a “Cease and Desist” order signed by a judge as concerns their work! “Do you understand how noise cancelling headphones work?” I then waited until I got a bit of a headnod. The headphone recognizes noise that is being introduced into whatever you are listening to and, in a nutshell it simply reverses the polarity of that signal and feeds it right back in, so a .4 mv noise signal is then met with a -.4mv signal and what happens? .4 is there and then the negative .4 signal arrives and combines to give a 0 mv signal… it cancels it out… Now, let’s move on up the spectrum past the kilo hertz signals and as we go up this scale the wave lengths get shorter and shorter… but everything else remains the same… in the 550 to 1600 Kilo hertz range, we are in AM Radio range… so we keep climbing eventually we get very, very high in frequency and we run into the TV broadcast bands… them FM Radio frequencies… 88 Mega Hertz to 106 Mega Hertz… then microwaves… like the oven on our kitchen counter… then another VERY important range to us. 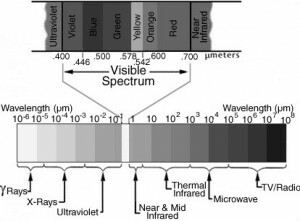 It is preceded by the infrared range… then, like magic, the red… the yellow… the green… all the way to the violet… It’s the VISIBLE light spectrum… part and parcel of that same electromagnetic spectrum that gave us these other implements like voice and radio and TV… Now… we can SEE IT! Are all animals the same here? No! We cannot see the infrared spectrum, but there are species that use it readily… like rattlesnakes… We can see red and orange readily, but deer, cows and elk cannot. That is why “Hunter Orange” is possible. We see it vividly, but our prey cannot see it at all. To continue on… Our range of vision ends at the division between violet and ultraviolet. We cannot see UV but almost all animals can to some extent, and those who are active at night see it very, very well… They have to because the only light available at night is UV light! We have a large, yellow filter over the opening into our eyes whose only job is to block UV! If we continue on up the spectrum we get into the things like Xrays and things or interest to science, but not so much to us. Anyway, the International Bigfoot Conference will be in Kennewick, WA, my home town from Friday Sept 1st to Sunday Sept 3rd, 2017… that’s Labor Day weekend, so no one can say they have to work! 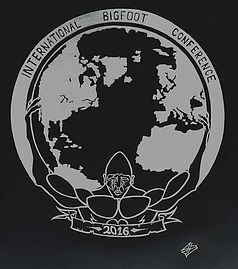 https://www.internationalbigfootconference.com/ is the addy… get your tickets now to hear some really cool speakers… Like that Thom guy… the Cantrall one… not the Powell one… You’ll love Ron Morehead as well… just getting to see and give Keri a hugs is MORE than enough reason to see Ron… Dr. Meldrum will be there, and although he can’t be part of the show this year, my Best Buddy, Bob Gimlin is sure to be there as well!!! If you miss this one, your year is a failure, I assure you!